With as much road tripping as we do, Doug and I had always said we wanted to buy an RV. Nothing could be better, we imagined, than a small rolling house on wheels. No stopping for bathroom breaks every hour! Make your meals while you cruise down the highway! No more single night hotel stays! 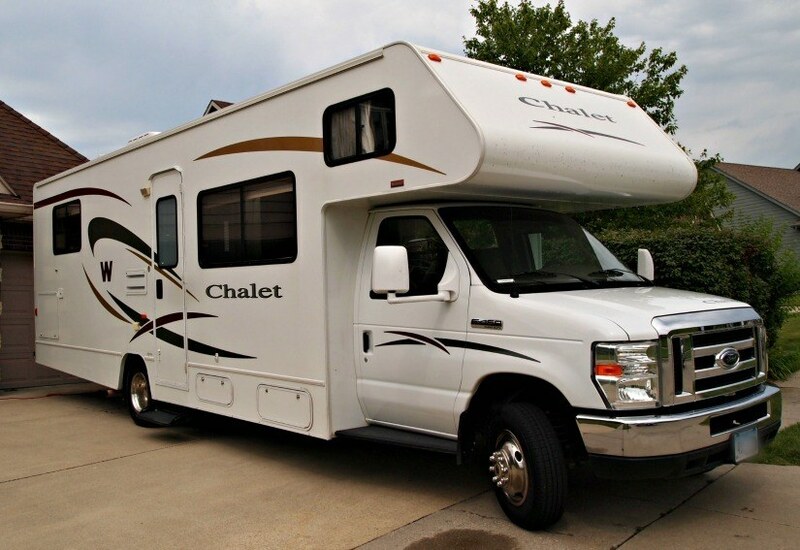 Before making such a big investment based solely on what we thought, we chose a Class C for our first RV rental to get some real RV experience. 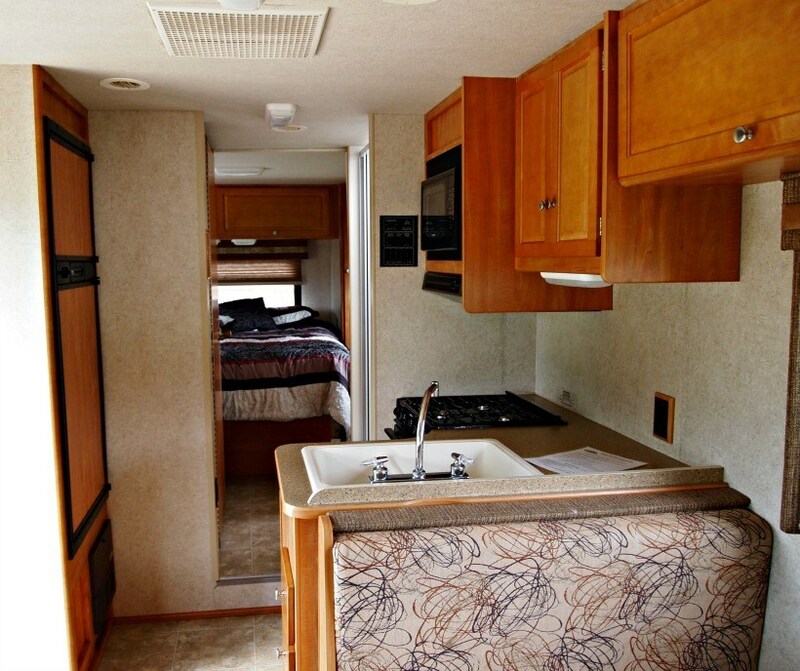 Our first RV vacation rental – a 29 foot Class C.
Living in an RV will remind you of your first apartment. My first apartment was tiny, with a kitchen I could barely turn around in, a bathroom that no more than one person could occupy at a time, and a living area that doubled as a dining room. In fact, it was probably about the same square footage as our 29 foot rental RV- but I had it to myself. As with any small space, organization is key. A place for everything, and you figure out really quick what is- and what isn’t -necessary. Small space in on our first RV trip. Galley kitchen, shower to the right, toilet to the left and the bedroom. At 11 pm, when you’re still miles from where you wanted to be, Walmart is the most beautiful thing you’ll see. Miles upon miles of road construction- and the back up that joins it- slowed our first RV trip quite a bit. By the time we made it to North Platte, Nebraska, it was nearing midnight and we couldn’t imagine driving another 3 hours to our intended overnight stop of Scott’s Bluff. We found the closest Walmart and were thrilled to see half a dozen RVs, travel trailers, and semis in the back of the lot. As a courtesy, Doug went into the store and spoke with the manager who welcomed us- and mentioned that the donuts would be fresh about 5am. Not all Walmart stores allow RV parking due to city regulations. Use the Walmart Locator to find a place to park. Even with all that room, your kids won’t stay away from each other. Truly, after all the “She’s touching me!” and “Quit looking out my window!” bickering that takes place in the car one would think that, given space, the kids would spread out. But no, they mostly sat, side by side, watching a movie or playing with toys. But not once did we hear bickering. Maybe it was the the fact that they could get away from each other that made it all ok? Sleeping space in the Class C RV: couch and table both fold down, but the over cabin space was most popular. The bed above the front seats? Best. Thing. Ever. At least when you are under 10. The girls couldn’t wait to sleep up there- and wanted to even after we returned home and real mattresses awaited them. Not re-packing every day is awesome. My husband, the king of dry sarcasm, told my mother that packing up to get on the road in the mornings was horrid. Tip: make sure all the outer storage compartments are closed and locked before leaving the campsite! But, truly, not worrying about leaving anything in a hotel room? Amazing. No matter how much food you have with you, all-you-can-eat pancakes for $2.50 will win every time. We stocked our fridge and freezer with “road food”, but when a great restaurant is recommended sometimes you just have to stop! And the all-you-can- eat pancakes that many campgrounds serve on the weekends are hard to resist! A few restaurants that are worth getting out of the RV for! RV gas tanks are huge. Don’t forget to budget in fuel for your first RV rental! 55 gallons is a lot of gas! You start noticing little tricks the full time RVers use. A rug just outside the door for all that dirt on your shoes. Containers on every shelf. Solar lights staked around the “patio”. And you file this information away because, someday, you want an RV of your own. You begin saying “When”. As in, “When we have our own RV I want an exterior kitchen.” Or, “When we have our own RV let’s plan a National Parks road trip!” Or even, “When we have our own RV, what are we going to do when family wants to borrow it?” Because they will want to borrow it. Do you RV? Are you considering your first RV rental? I would love to hear your thoughts and tips! Leave a comment and let’s chat! 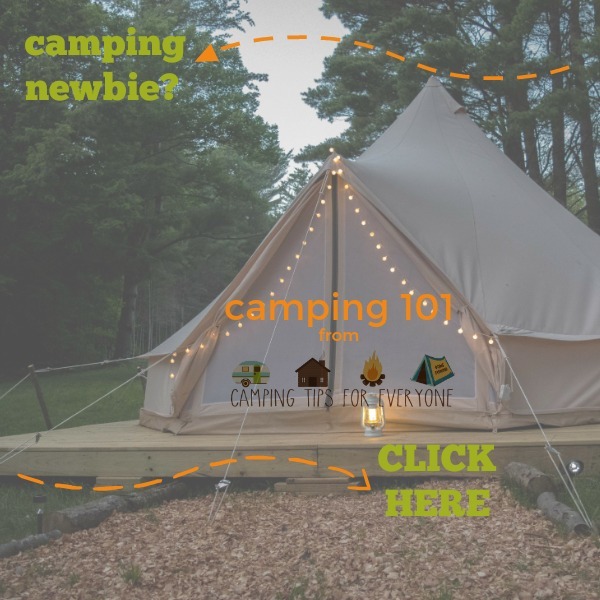 Did you see our Car Camping 101 article? 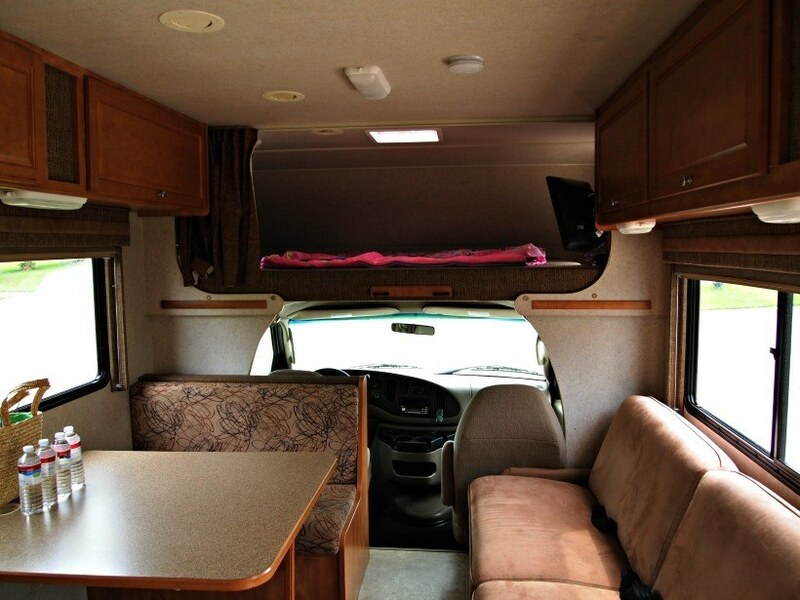 Tonya has some great tips on how they use their van to go camping. Not yet, I’ll get to it soon.